What children’s rights are most important to you? 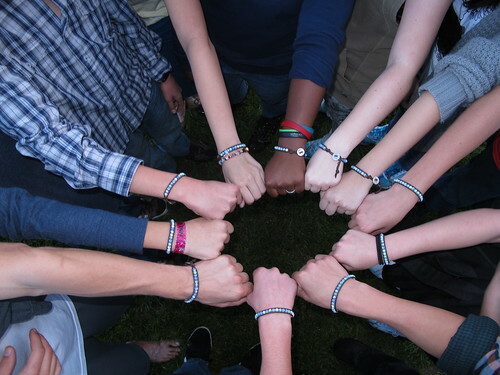 Wrists4Rights is THINK Global School’s student-led children’s rights initiative. While in Sydney, Australia, TGS students met with human rights activist Rob Wetton through his organization: I’m Colourblind. Rob informed students on the UN’s Convention on the Rights of the Child and worked with students to create their own initiative to share knowledge about these rights. As TGS students collaborate with students in host cities, we have spent time discussing that which we consider most important. Here is a survey to see what rights our partners, friends, and site visitors think are most important, too. Join the dialogue by filling out our survey and compare your own thoughts with those of our students!